Earlier this year, Robert Rallo, Data Sciences Group Lead with PNNL’s Advanced Computing, Mathematics, and Data Division, was named a Senior Member of the Institute of Electrical and Electronics Engineers, better known as IEEE. Senior Member is the highest grade that IEEE members can apply for and recognizes their professional practice and significant performance in designated fields. Per its mission, IEEE is the world’s largest technical professional organization dedicated to advancing technology for the benefit of humanity. According to IEEE President James Jefferies, Rallo’s upgrade to Senior Member puts him among the organization’s select associates as only 10 percent of IEEE’s overall 400,000 members achieve the distinction. At PNNL, Rallo’s research primarily focuses on data-driven analysis and modeling of complex systems with industrial, environmental, and social relevance. His expertise spans data science, machine learning, nanoinformatics, computational toxicology, and urban science. 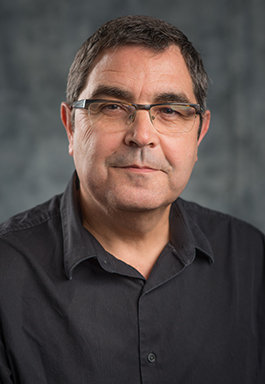 Prior to joining PNNL in 2017, Rallo was an associate professor in computer science and artificial intelligence and director of the Advanced Technology Innovation Center at the Universitat Rovira i Virgili in Catalonia (Spain). He served as chair for the Modeling Working Group in the EU (European Union) NanoSafety Cluster (2013-2016) and as co-chair of the U.S.-EU Nano-Dialogue Community of Research on Predictive Modeling and Health (2013-2015). He also has been a reviewer for several EU research organizations, such as the European Research Council, Horizon 2020, European Cooperation in Science and Technology (COST), and the Netherlands Organisation for Scientific Research Council for Earth and Life Sciences (ALW). Rallo earned his M.A.S. in educational technology (2005) and doctorate in computer science (2007) at the Universitat Rovira i Virgili and has a B.S. in chemistry from the Universitat de Barcelona.